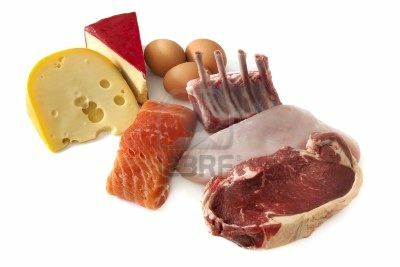 Vitamin B12 is a water-soluble vitamin that is naturally present in foods that come from animals, including fish and shellfish, meat (especially liver), eggs and milk products, as well as fortified cereals and other fortified foods. With changes in dietary patterns and other factors, vitamin B12 deficiency is becoming a major concern. Vitamin B12 is required for proper red blood cell formation, neurological function and DNA synthesis. increased susceptibility to infection and/or gastric mucosal atrophy including disturbed digestion, nausea, anorexia, diarrhea or constipation and urinary incontinence. The mental symptoms of Vitamin B12 deficiency are extremely variable and include disorders of mood, mental slowness, memory defect, confusion, severe agitation and depression, personality disorders, delusions and even paranoid behaviour or hallucinations. There is a very strong correlation between Alzheimer's disease and vitamin B12 deficiency. developmental delays or regression in behaviour and impaired neurological development including seizures, mental retardation and even Autism. irritability, apathy, as well as, ADD and ADHD type behaviour. Treating B12 deficiencies in children is critical for their development, both physically and mentally. Over the last twenty years specific foods have been fortified with folate. Folate fortification and maternal supplementation were a public health initiative aimed at reducing folate-deficiency neural tube defects at a time when populations were eating large amounts of red meat (B12 rich) but few fruits and vegetables (folate-rich). Part of the rise in Vitamin B12 deficiency rates is due to the high amounts of folate-fortified foods that individuals have consumed over an extended period of time. High levels of folate block Vitamin B12 and can both mask and exacerbate B12 deficiency symptoms. The normal blood testing for Vitamin B12 levels is often not diagnostic and normal values do not exclude B12 deficiency. If you experience any of the symptoms above, I encourage you to ask your naturopathic or medical doctor to run a blood test for both Vitamin B12 levels and for RBC folate. A high level of folate will result in a Vitamin B12 deficiency, even if your blood level of Vitamin B12 is normal. Because of the strong link between Vitamin B12 levels and decreased cognitive function, it is often recommended that anyone with signs of memory loss be tested for Vitamin B12 deficiency. Another way to gauge Vitamin B12 deficiency is to request an intra-muscular injection of Vitamin B12 and see if you notice any symptoms. Generally speaking, a positive result to a Vitamin B12 injection will be noticed within 48 hours. Monthly intra-muscular injections of B12 are the most efficient way of building up low levels of B12 in the body. Often after the first injection there is a notable improvement in either energy, cognitive function or sleep. Vitamin B12 injects are generally regarded as very safe. Depending on your levels, it can take between 3 and 6 months, or more, to re-establish normal B12 levels. For mild symptoms or once levels have been re-established with intra-muscular infections, sublingual Vitamin B12 may be indicated, especially if there is also a decreased consumption of B12 rich foods. cynocobalamin is the most common and least expensive form of B12. It is the form that is often used in the United States for intra-muscular injections. hydroxycobalamin lasts longer in the body and requires less frequent injections. It is often considered more potent than cynocobalamin. methylcobalamin is the most expensive form of B12. It is more effective when B12 injections are being used for cognitive concerns or for peripheral or diabetic neuropathy. If you suspect that you have a B12 deficiency and you have been taking B12 injections without much improvement, I encourage you to request a different form of B12. Vitamin B12 deficiency is very common and is very easy to treat. If you are suspect that you may be deficient I encourage you to get tested. For more information talk to your naturopathic doctor.